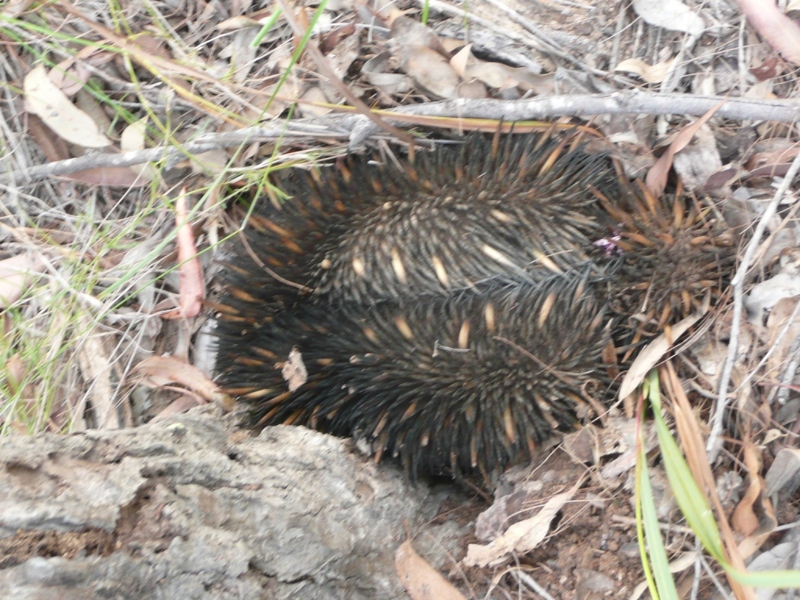 Thanks to Bill and Alison Semple we have photographic evidence that echidnas are still active on the Mountain. Alison photographed this prickly character foraging for food last week. Bill and Alison were walking on the mountain when they were made this special find. Echidnas Tachyglossus aculeatus is one the few ground dwelling mammals found in the Reserve. Commonly called Spiny Anteater, for obvious reasons, dig into ants nests and termite mounds using their long tongue to search out dinner. Like the platypus these fascinating mammals lay eggs like reptiles then nurture their young in a pouch feeding them on mother’s milk. It never ceases to amaze me that we can find special animals like this only ten minutes from Brisbane CBD.